In an electric power system, switch gear is the combination of electrical disconnects switches, fuses or circuit breakers used to control, protect and isolate electrical equipment. Switchgear is used both to de-energize equipment to allow work to be done and to clear faults downstream. This type of equipment is directly linked to the reliability of the electricity supply. The high-voltage switchgear was invented at the end of the 19th century for operating motors and other electric machines. The technology has been improved over time and can now be used with voltages up to 1,100 kV. 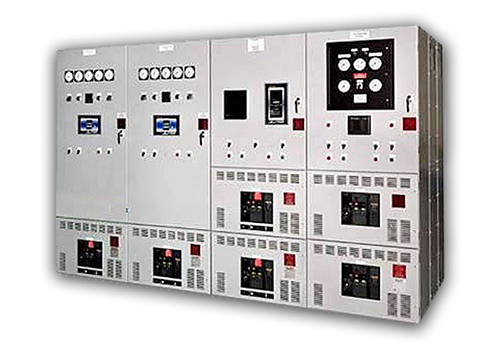 Typically, switchgears in substations are located on both the high-voltage and low-voltage side of large power transformers. The switchgear on the low-voltage side of the transformers may be located in a building, with medium-voltage circuit breakers for distribution circuits, along with metering, control, and protection equipment. For industrial applications, a transformer and switchgear line-up may be combined in one housing, called a unitized substation or USS.